Corsair has launched the Hydro GFX GTX 1080 liquid cooled graphics card. 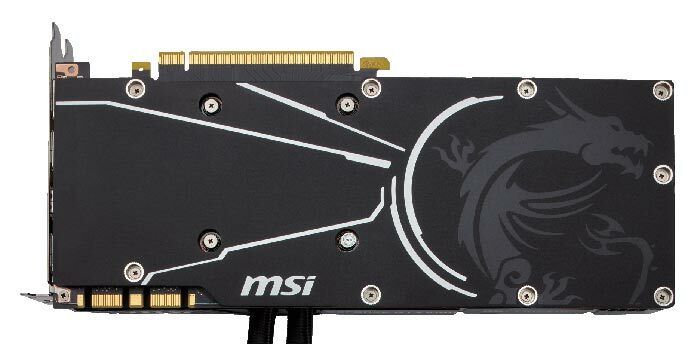 This all in one liquid cooled graphics card is based upon the sleek melding of an MSI designed GTX 1080 graphics card with a Corsair Hydro Series H55. In an email to HEXUS, Corsair referred to this tasty new product as "The GeForce GTX 1080 as it should be," and straplined the design "Silent Cooling. Maximum Performance. VR Ready." 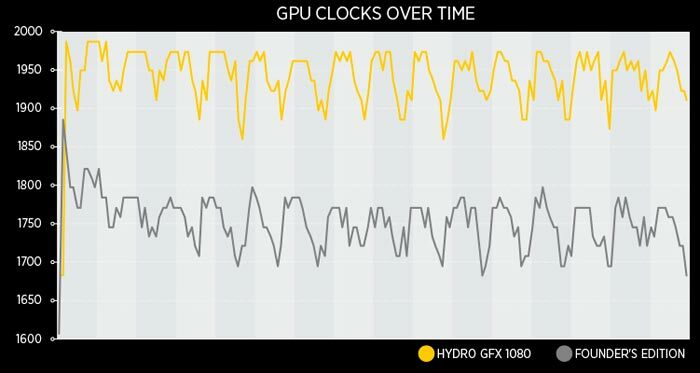 As you would expect, the Hydro GFX GTX 1080 is overclocked straight out of the box. Despite the decent preset OC levels the Corsair/MSI branded card is said to be significantly cooler and quieter than stock versions of the GTX 1080. Headline OC Mode performance figures are a GPU Boost clock of up to 1,847MHz and Memory Clock of 10,108MHz. Corsair says that its Hydro Series H55 cooler draws heat from the GPU via its micro-fin copper base cold plate and efficiently dissipates it using a 120mm high-surface area radiator. A pre-attached cooling bracket provides full coverage, two-stage cooling. A low-noise 120mm LED lit fan keeps the air flowing quietly through the radiator fins to regulate the closed loop liquid temperature. Meanwhile a quiet blower style fan air-cools the memory and VRMs. 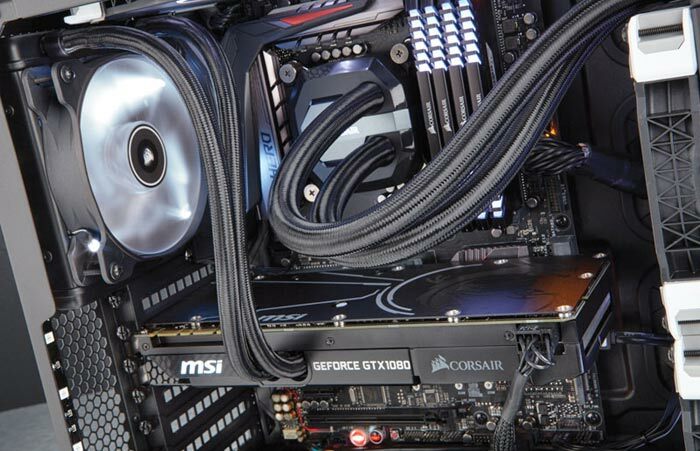 Corsair's cooling system is complemented by the MSI Afterburner overclocking software, allowing easy but advanced voltage, fan and clock speed control. Corsair told HEXUS that the Hydro GFX GTX 1080 is available immediately from the Corsair official webstore, and is priced at $749.99 Exc TAX in the United States, £699.99 Inc VAT in the UK, and €849.99 Inc Tax in Germany. Those prices aren't much more than some of its air cooled rivals. I use an H55 (via NZXT G10 adapter) to cool my Radeon HD 6850 (OC as far as it'll go for distributed.net crunching) and it has no problem keeping the temps & noise down at constant full load, even with the stock fan pegged to a low speed to keep things silent. The radiator fan supplied with this GTX 1080 is not the normal H55 fan, so don't know if the performance is the same or not. The H55 should be fine for the GTX1080, though of course fan speed and noise won't be silent under full load, but shouldn't be annoying either. I'm sure it'll become clear in the reviews.